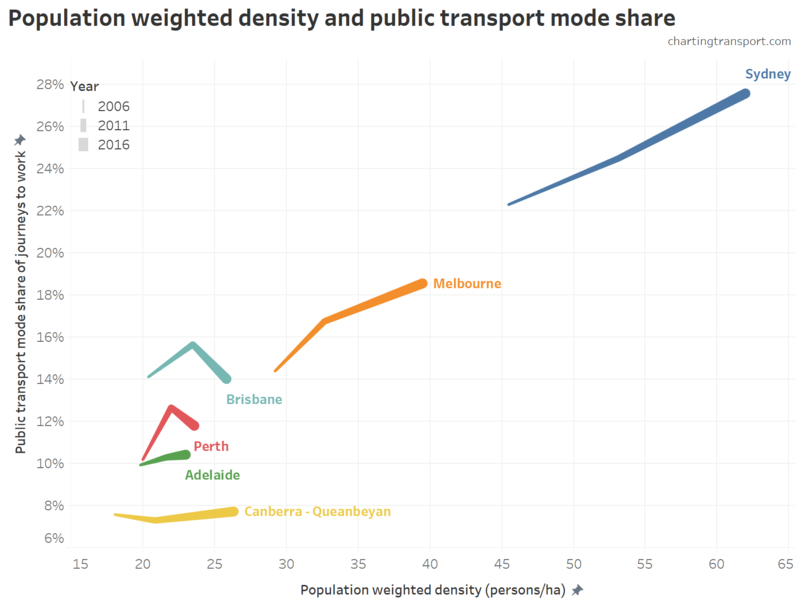 A frequently cited forecast is that the avoidable costs of congestion in Australia will double in most Australian cities between 2005 and 2020. 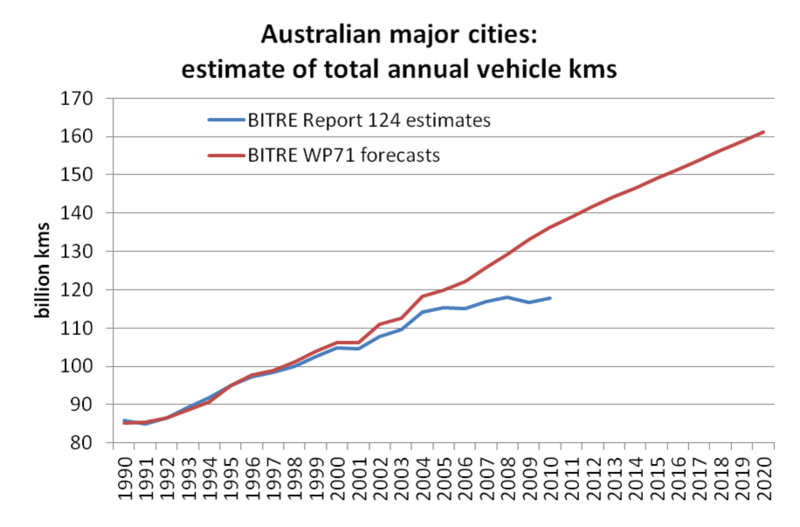 These BITRE forecasts were published in 2007 (Working Paper 71), assuming continued strong growth in vehicle kms in our cities (“business-as-usual” conditions). 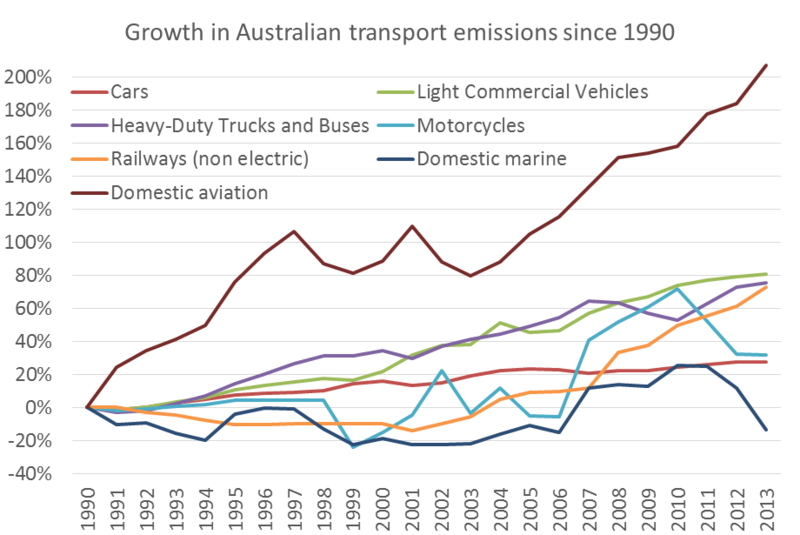 But as this blog has demonstrated several times, transport trends have not been business-as-usual in recent years. 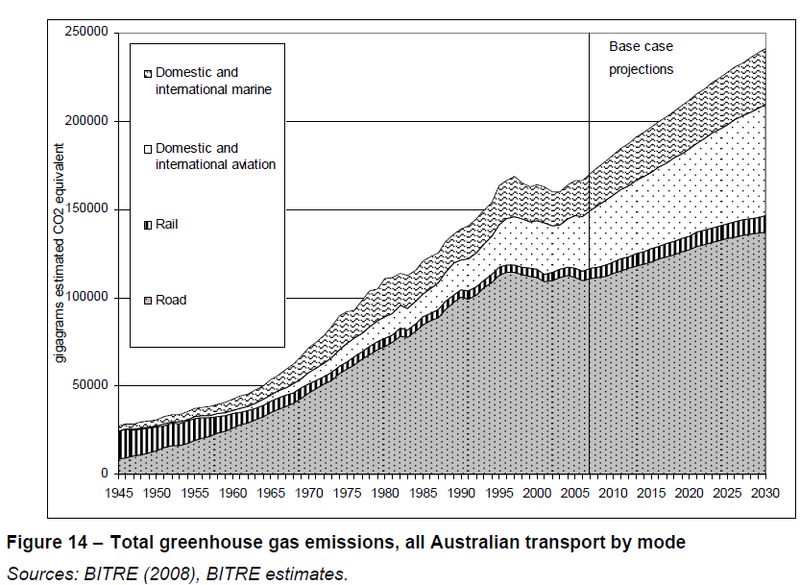 In August 2011, BITRE published revised estimates of vehicle kms in Australia (Report 124), derived from fuel sales data (using with fleet/fuel mix and fuel intensities etc). 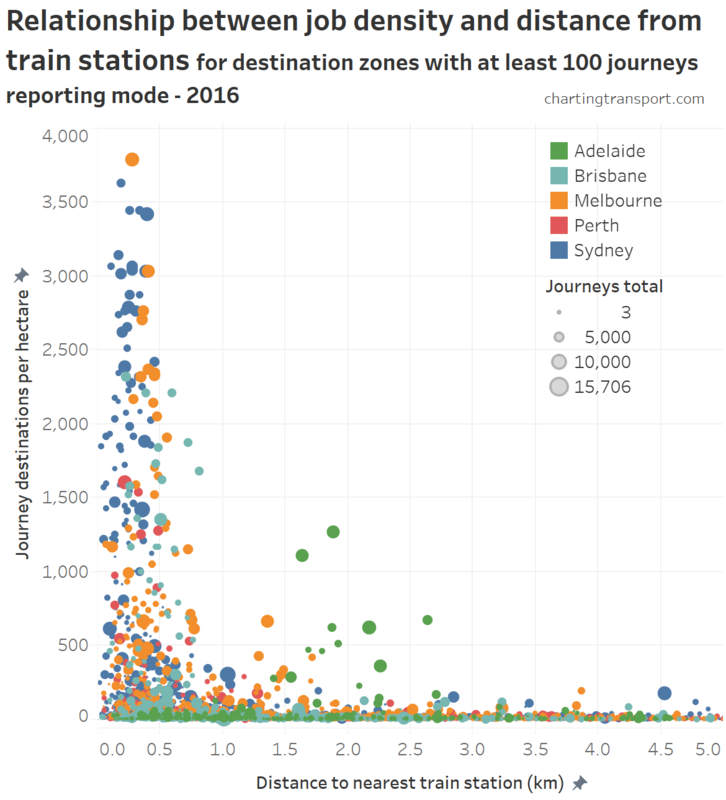 How are we tracking with forecast traffic volumes? 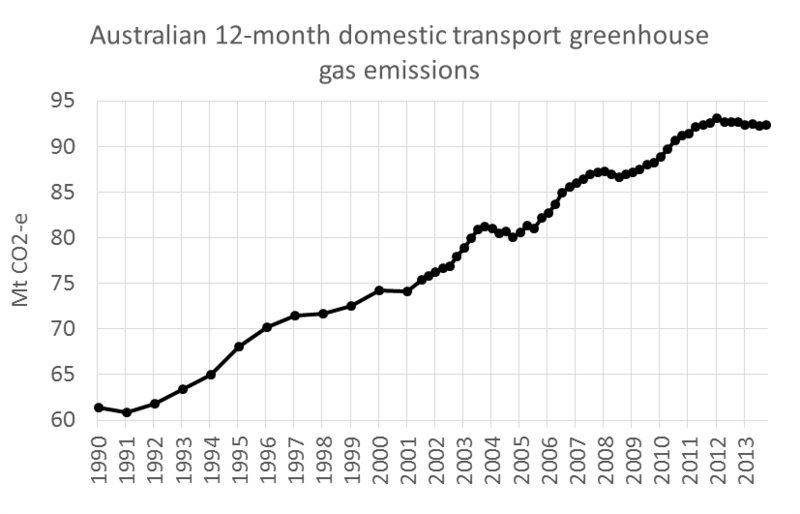 Consistent with other evidence, the growth in vehicle kilometres appears to be significantly below forecast. 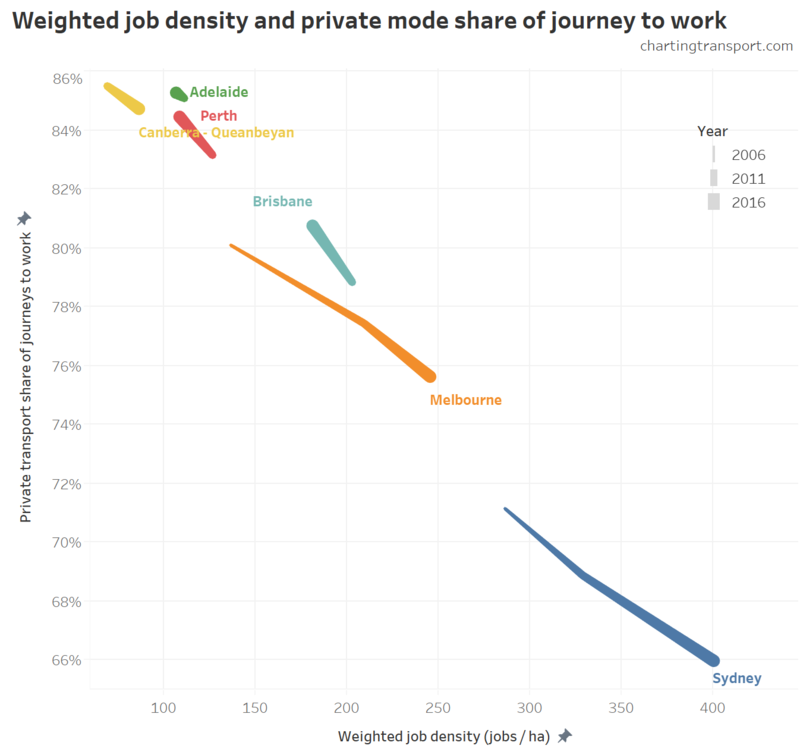 In 2007, BITRE assumed that city travel growth would fall to population growth rates, and that mode shares of travel would remain static. They also assumed world oil prices would peak at around US$65 in 2008 and drop to the low US$50s by 2011 (in 2004 dollars). None of these assumptions have played out in reality. 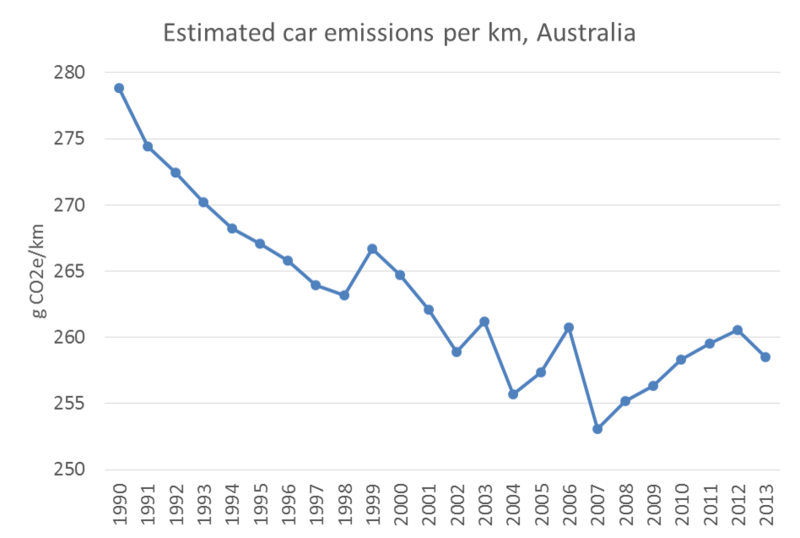 When looking at the components of the vehicle km estimates, the estimated actuals (in Report 124) for 2009-10 appear to be 15% lower than forecasts for cars and light commercial vehicles. 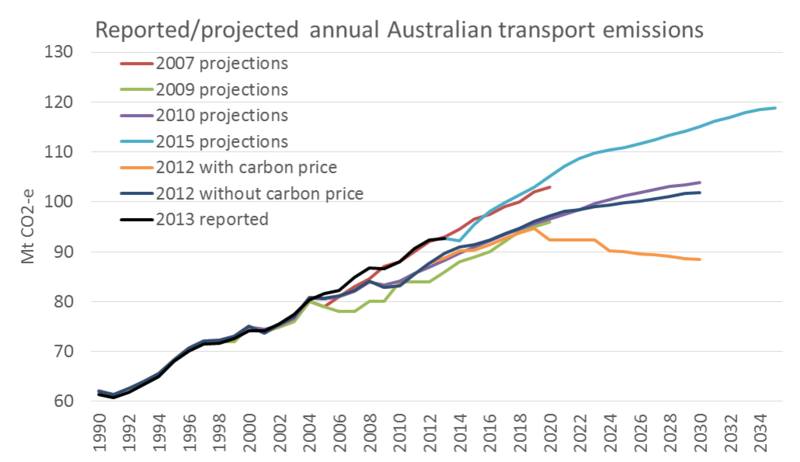 For trucks, the 2009-10 estimated actual is around 8% lower than forecast. To be fair, there was little evidence of the emerging mode shifts available at the time. That said, a BITRE forecast presented at ATRF in September 2011 showed a return to business as usual upwards growth, despite the last 6 years showing little growth. 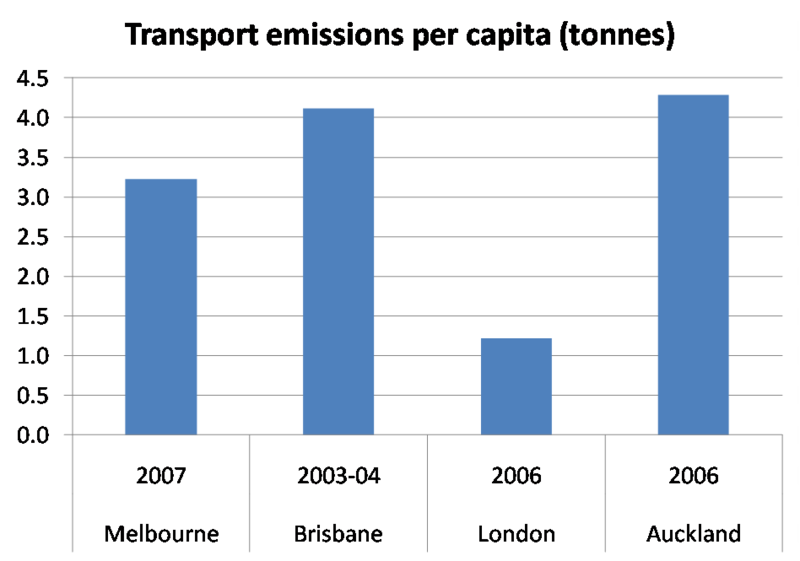 What cost of congestion might we have avoided? 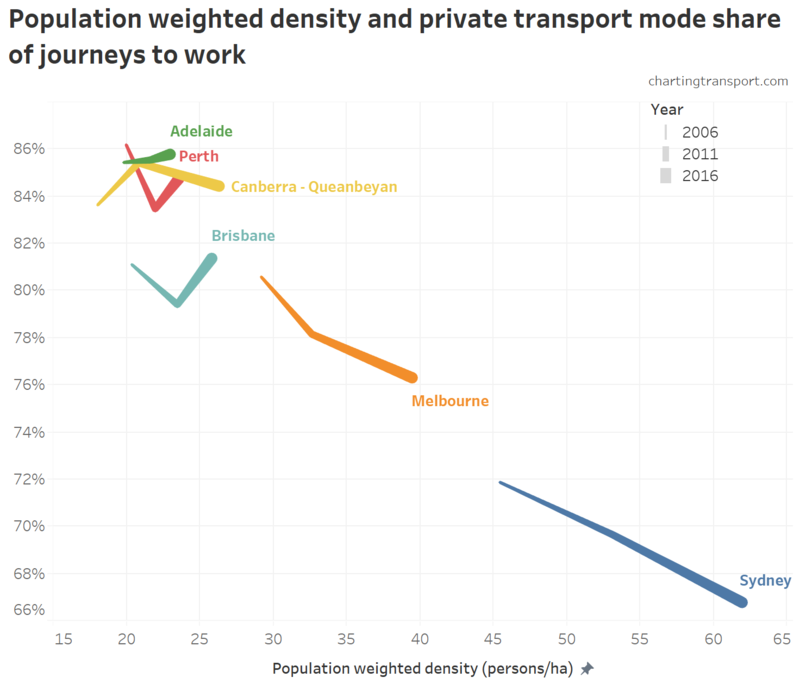 The relationship between travel volume and congestion costs is not linear. It is usually conceptually represented as an exponential curve. 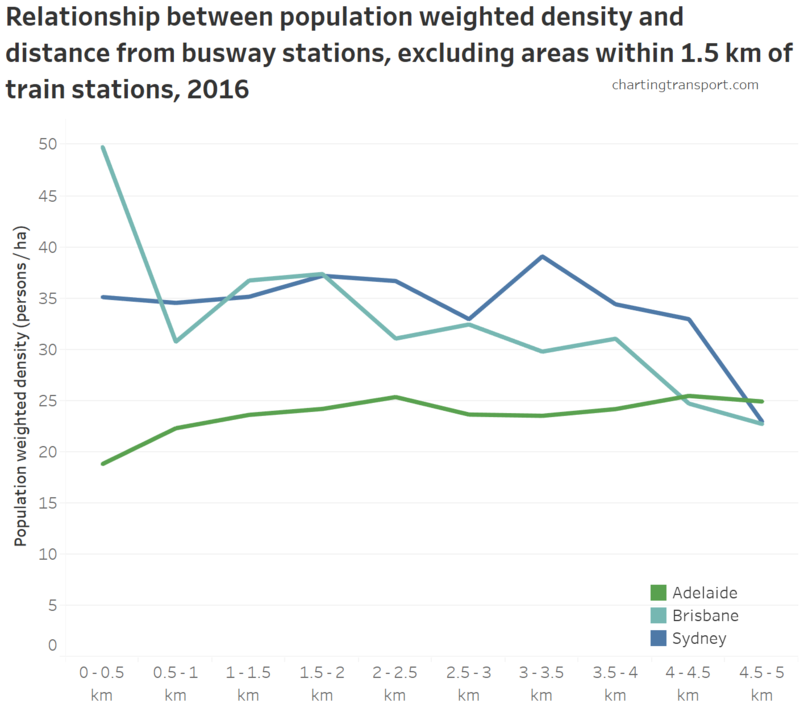 That is, a small reduction in traffic volumes will have a large impact on congestion costs (as evidenced each school holiday period where a claimed 5% reduction in traffic volumes has a significant impact on congestion levels). 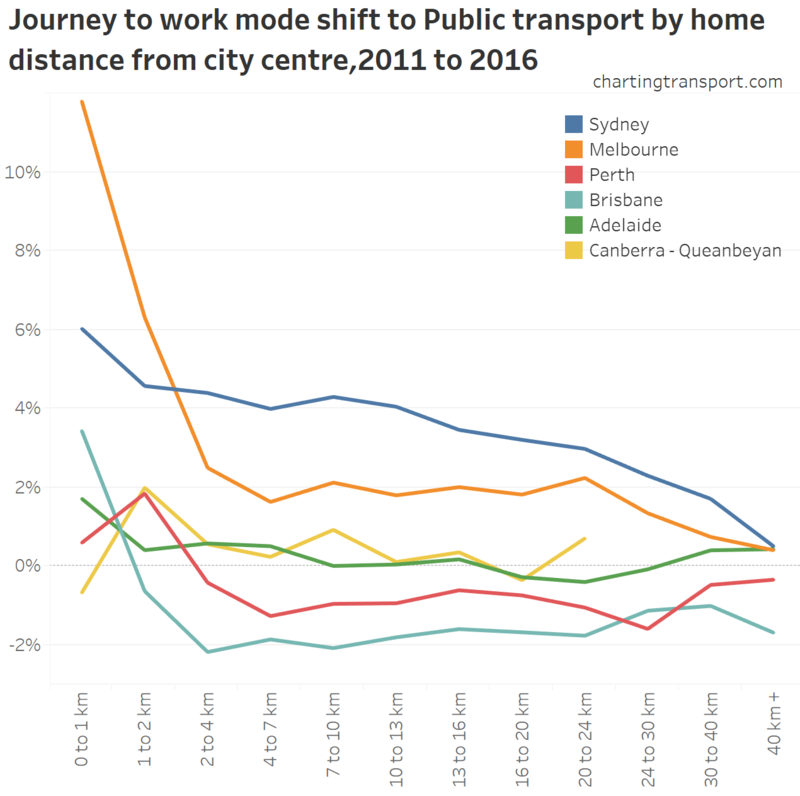 While I am not equipped to do a robust calculation, the recent shift away from private car motoring is probably having a significant impact on the avoidable costs of congestion. 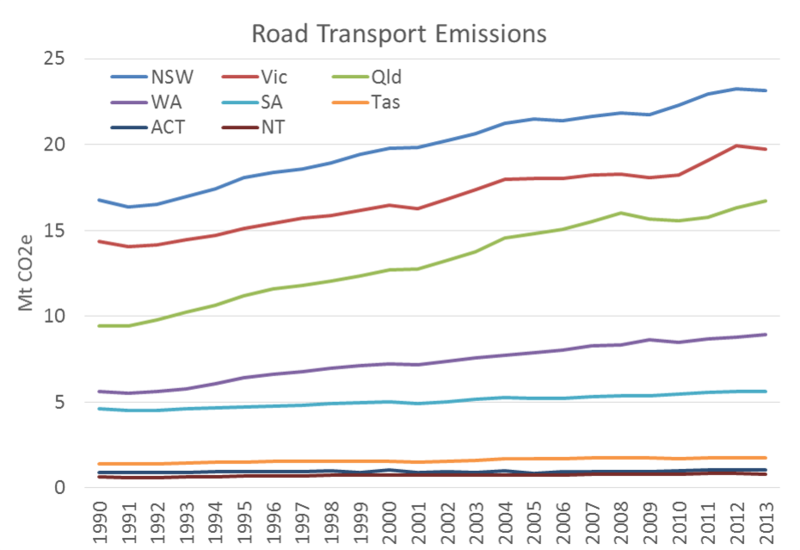 Estimated actual capital city vehicle kms in 2010 (117.9 billion km) were just under the forecast for 2004 (118.2 billion km). 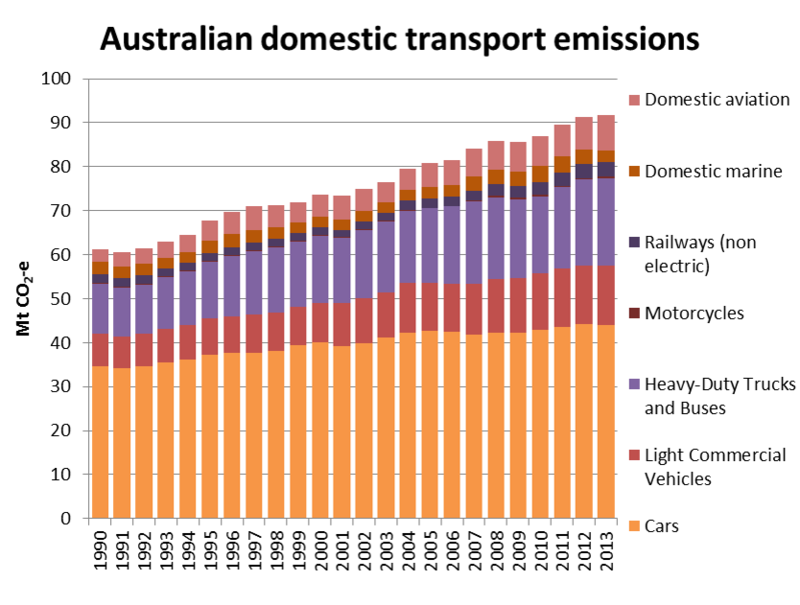 The estimated cost of congestion for forecast 2004 vehicle km levels was $9.1b, while it 2010 it was forecast to be $12.9b. 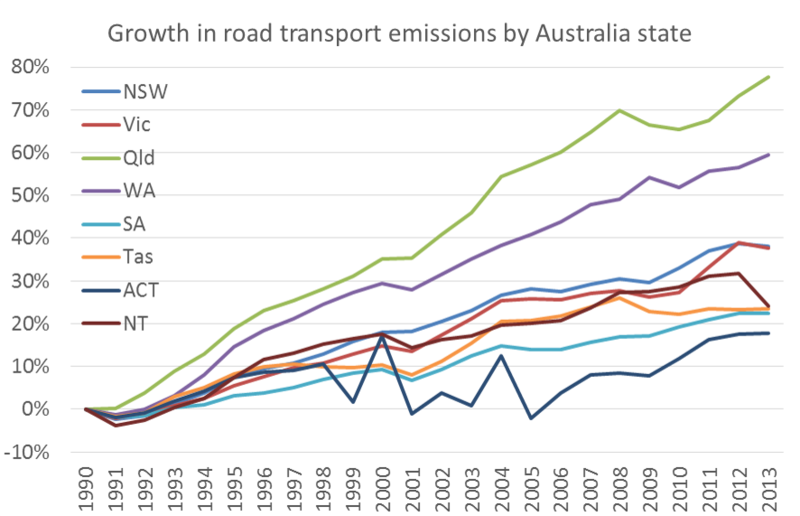 Road capacity has been increased in most cities between 2004 and 2010, which would reduce congestion costs for the same traffic volume, so the difference in 2010 between actual and forecast avoidable congestion costs might be in the order of around $3 billion. 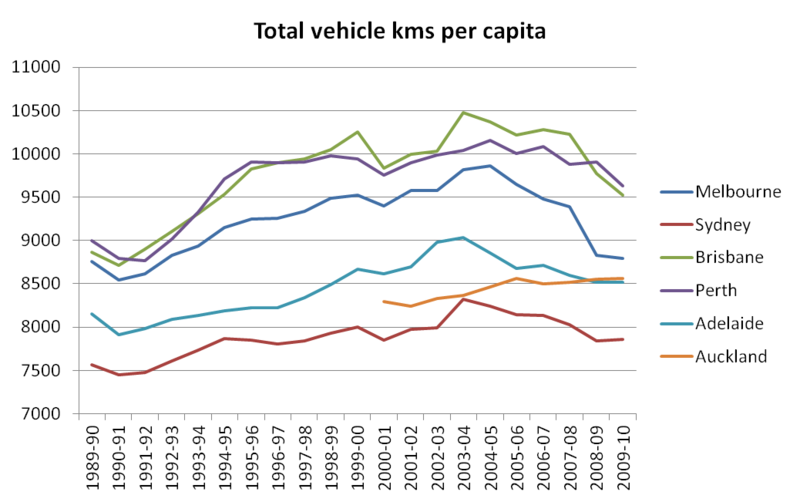 So what is happening with vehicle kms per capita? 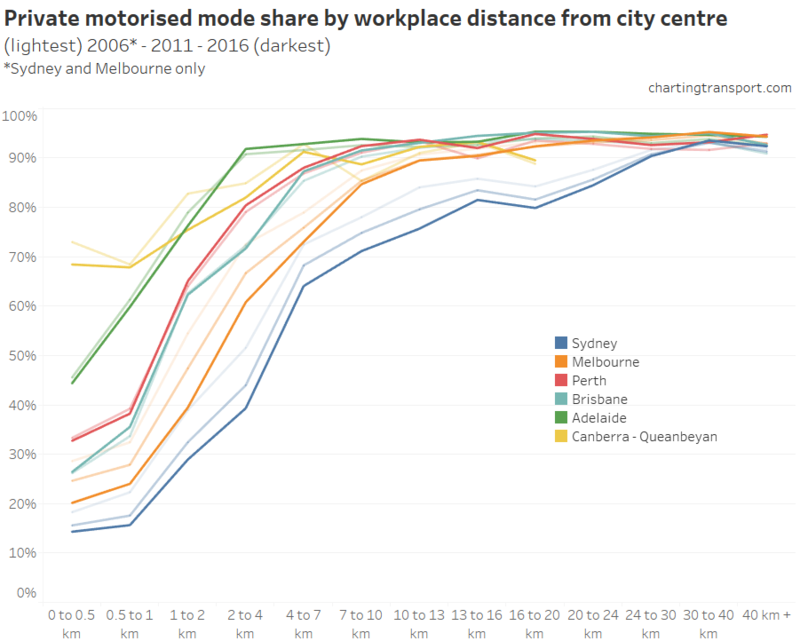 In another post, I used BITRE yearbook data on motorised passenger kms per capita. 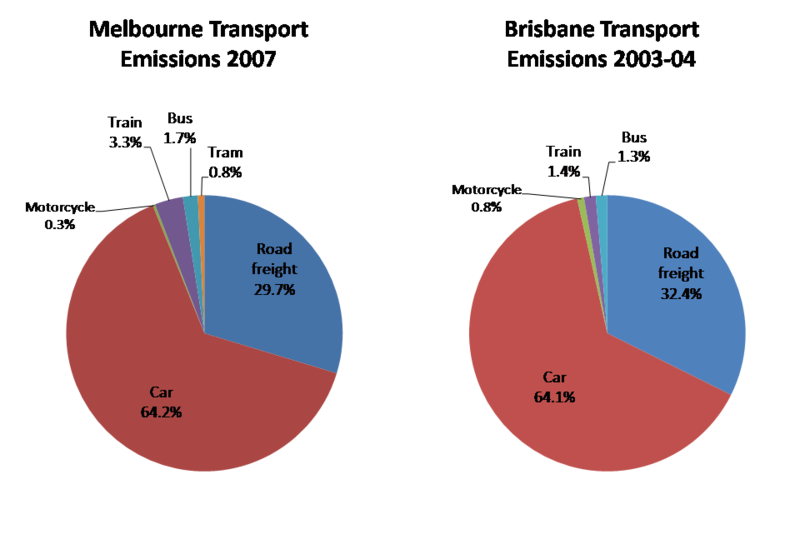 BITRE Report 124 only includes figures on vehicle (not passenger) kms, but they are still interesting figures. 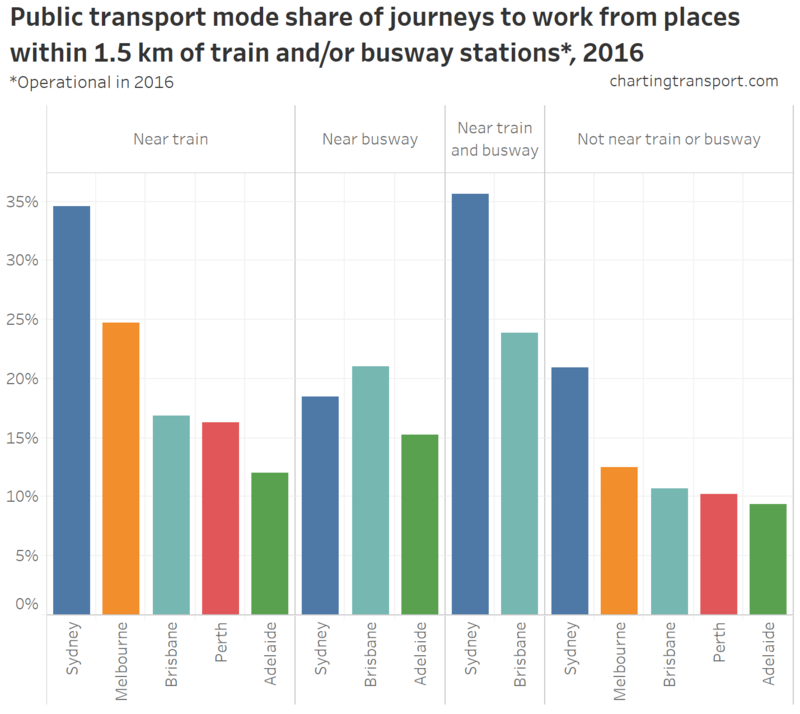 And in response to requests from across the Tasman, I’ve added New Zealand’s one “big” city Auckland (data for ‘Auckland Region’ from their Transport Indicator Monitoring Framework, accessed October 2011). 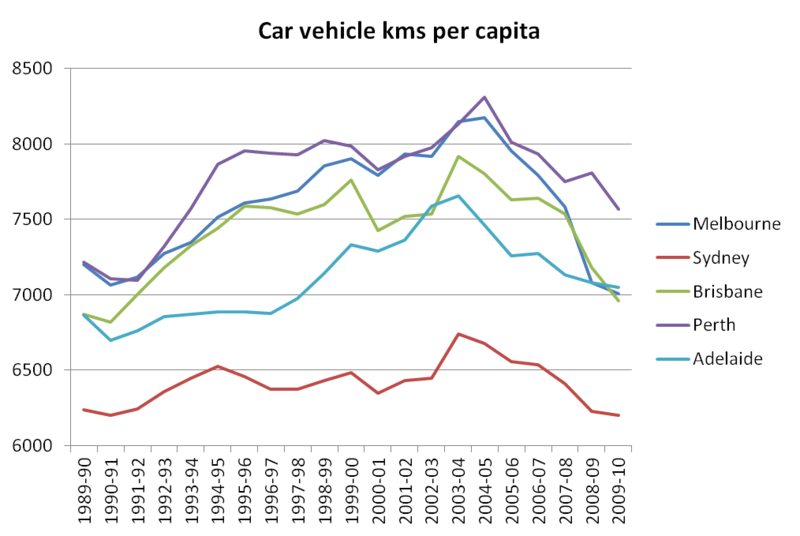 Total vehicle kms per capita appear to be trending down in all Australian cities since around 2004/2005, with the sharpest drop in Melbourne in 2008-09. 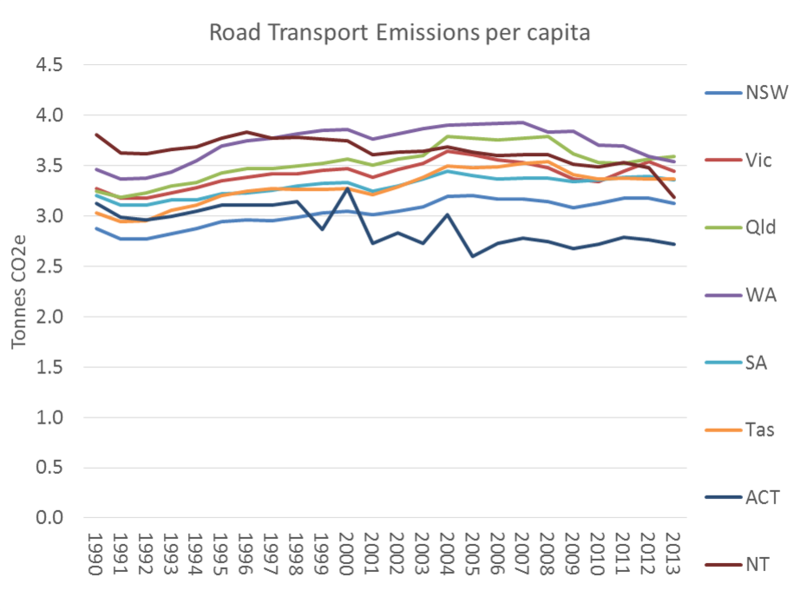 Auckland appears to be showing no such trend, with perhaps a flattening at best since 2005-06 (the vehicle km data is marked as under review, as is the public transport data which shows patronage growth of 25% in the four years to 2009-10). 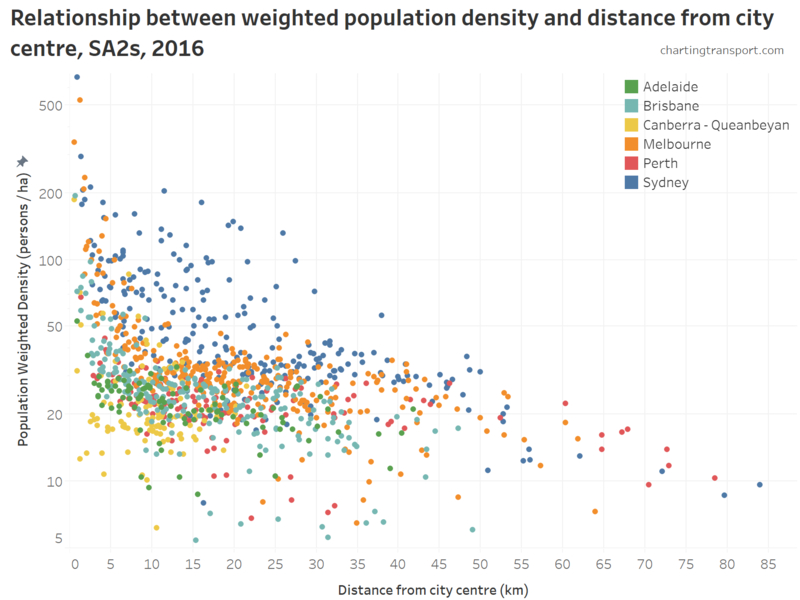 Comparing values for different cities requires caution. 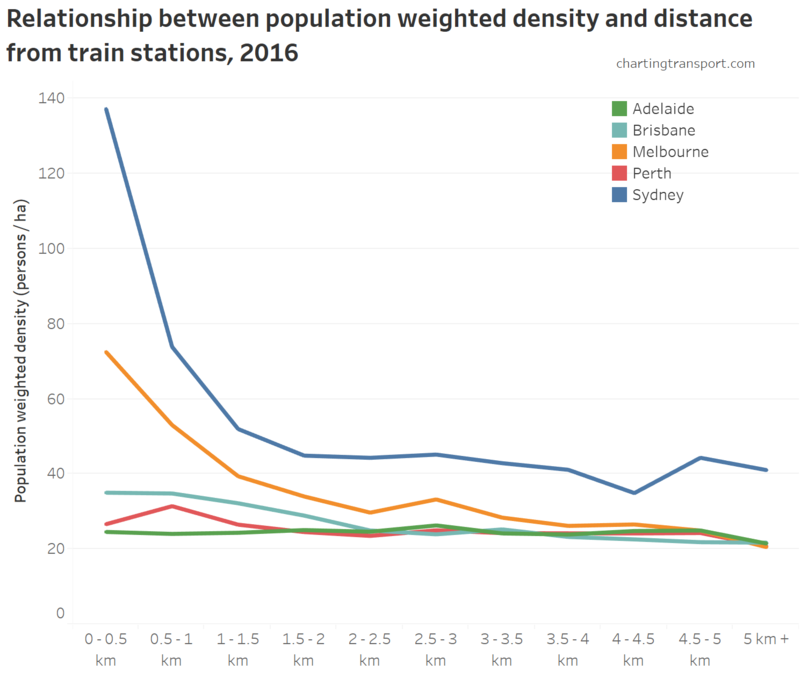 The physical size of the urbanised area, and the administrative boundaries used to define cities will have an impact. 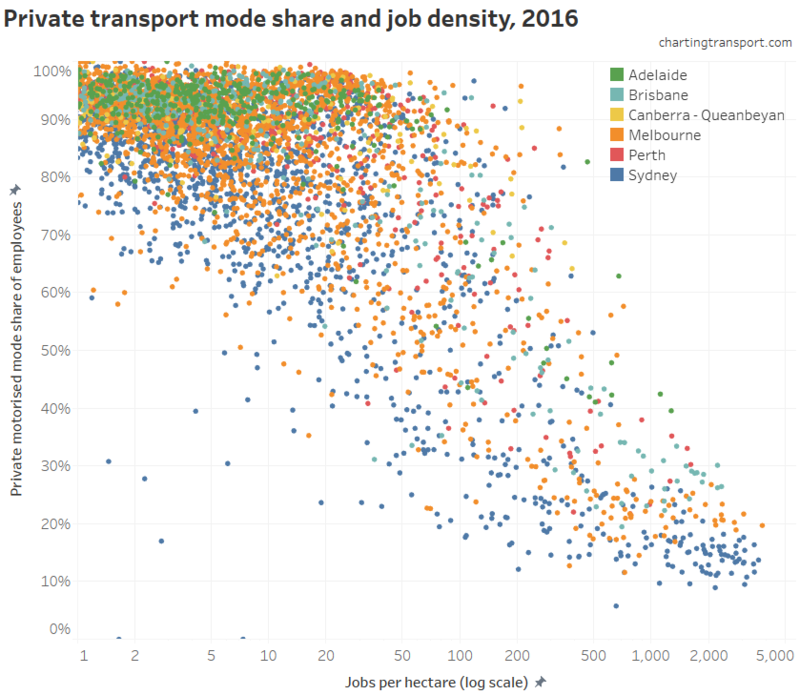 For example, Adelaide shows up with lower vehicle kms per capita than Melbourne, even though it has much lower public transport mode share. 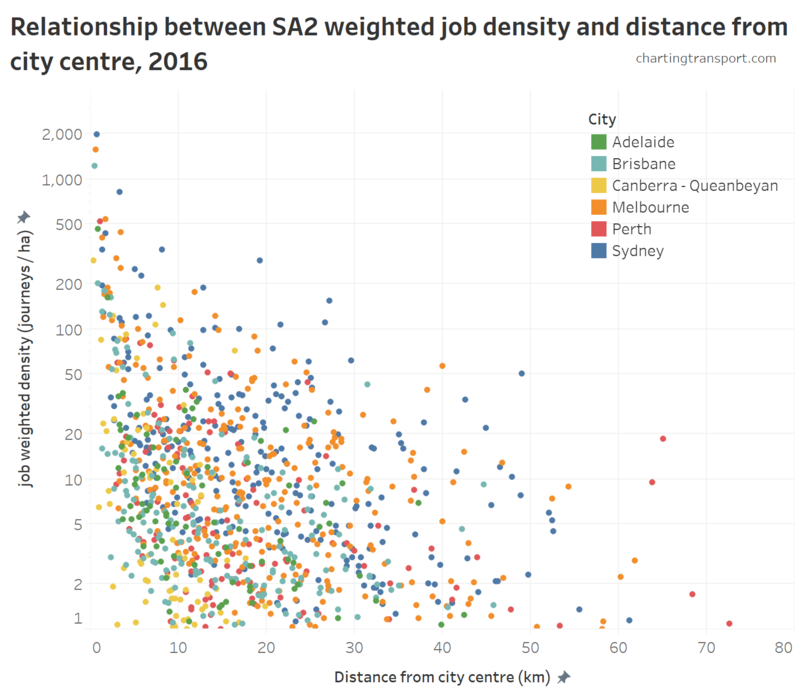 The Adelaide urban area has a smaller footprint and is more constrained than Melbourne, which might explain this difference. 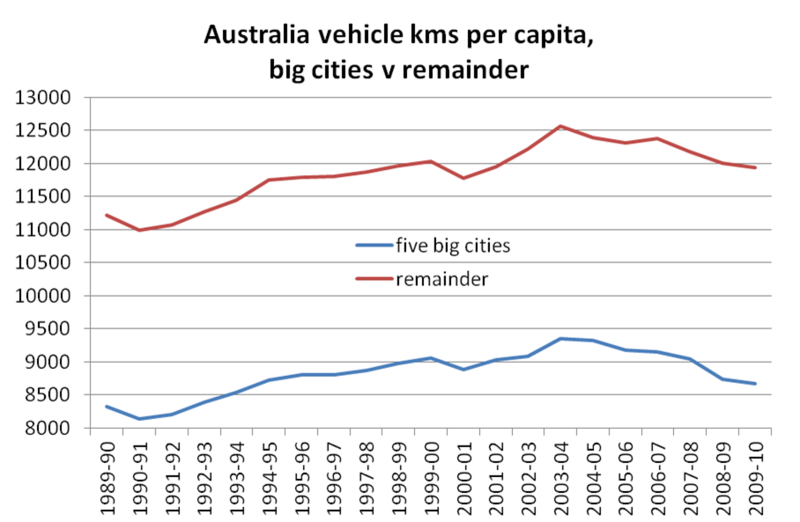 Car vehicle kms per capita appear to have peaked in either 2003-04 or 2004-05 in the five big cities, with Melbourne showing the biggest decline (a 14% decline since 2004-05). 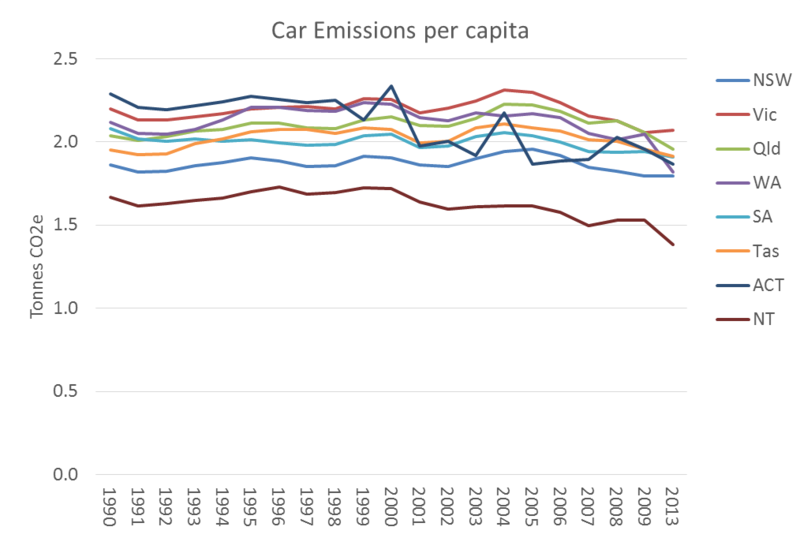 The underlying fuel data was actually seasonally adjusted, but there still appears to be some noise in the data (or the world may just be that variable, but I doubt it). 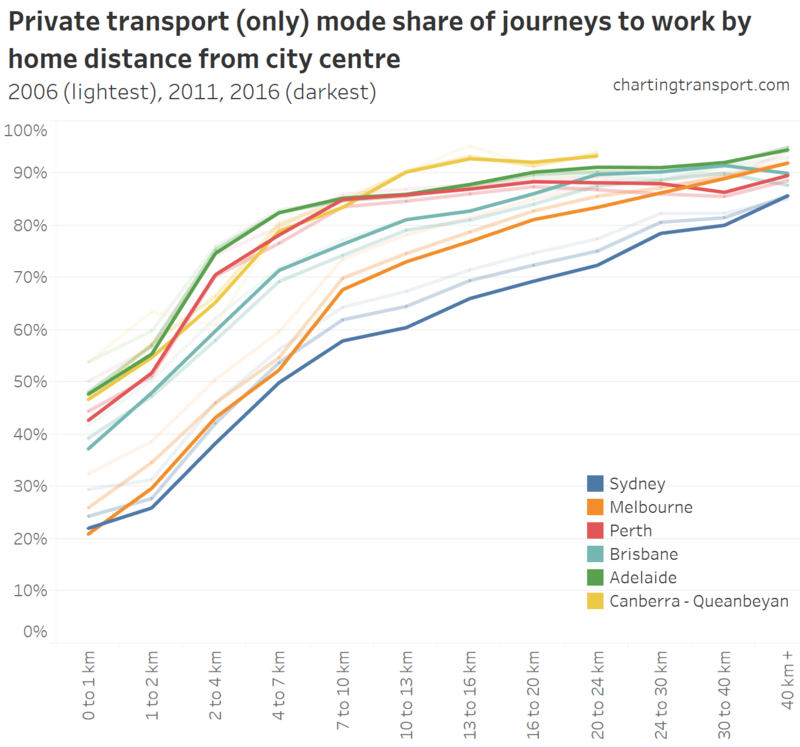 The reduction in vehicle use does not appear to be limited to the big cities (most of which have seen strong growth in public transport). 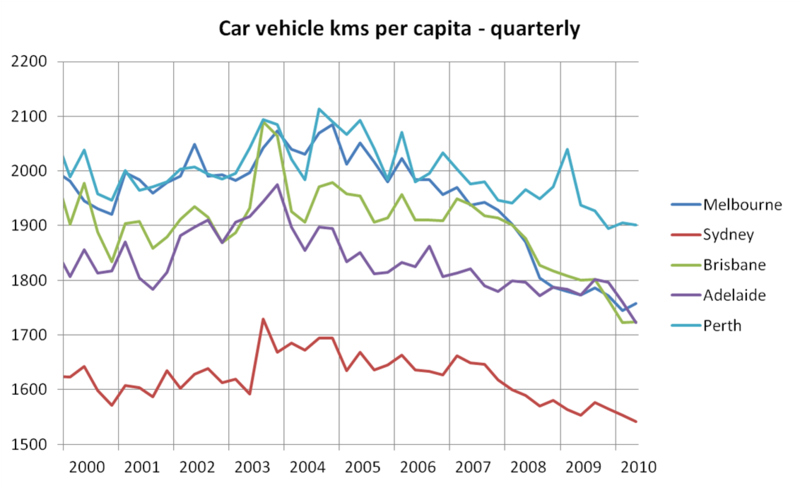 The trends for car km per capita outside the five cities are no different to overall vehicle use. 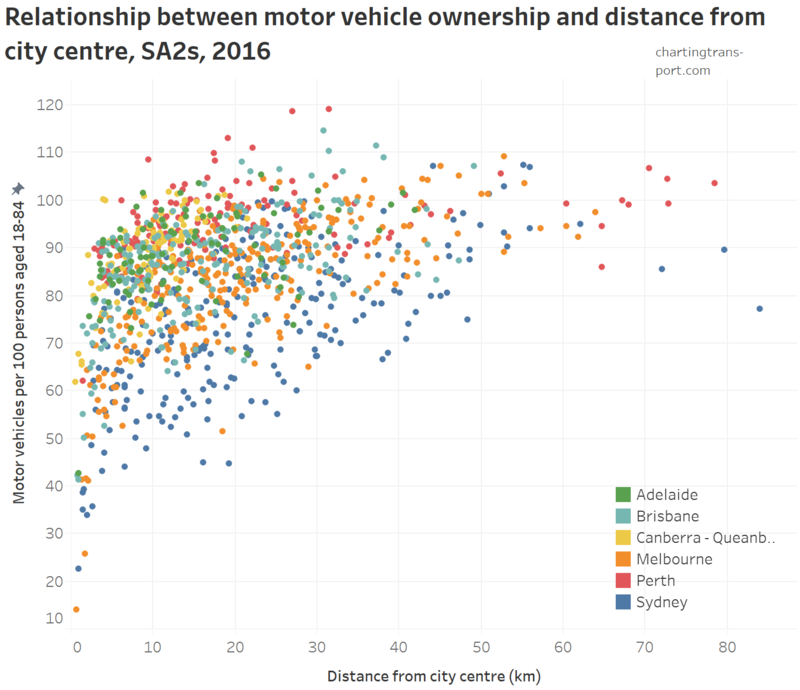 I should note: the report does not actually specify how vehicle kms for each state were split between capital city and other areas (section 8.2, citing unpublished data), but the fractions used were published. 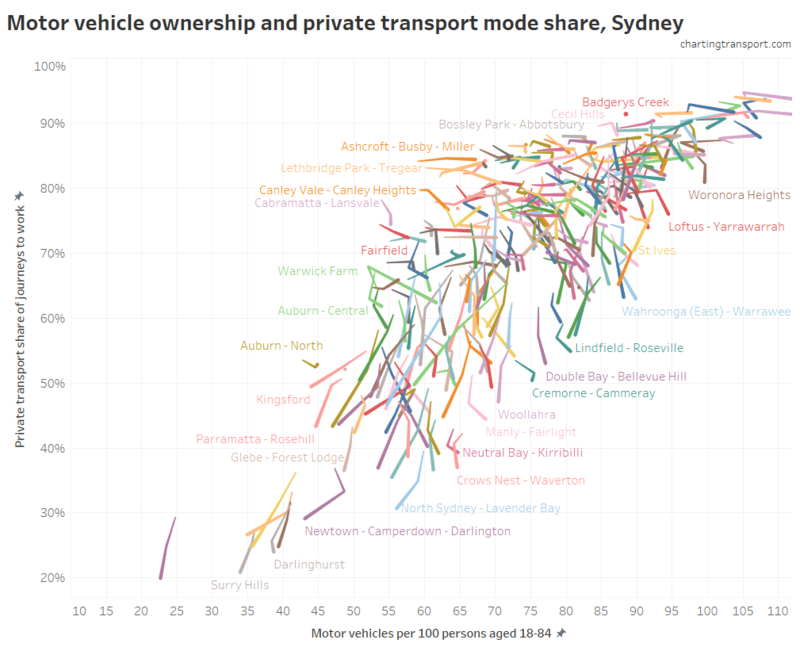 What about total vehicle kms in cities? 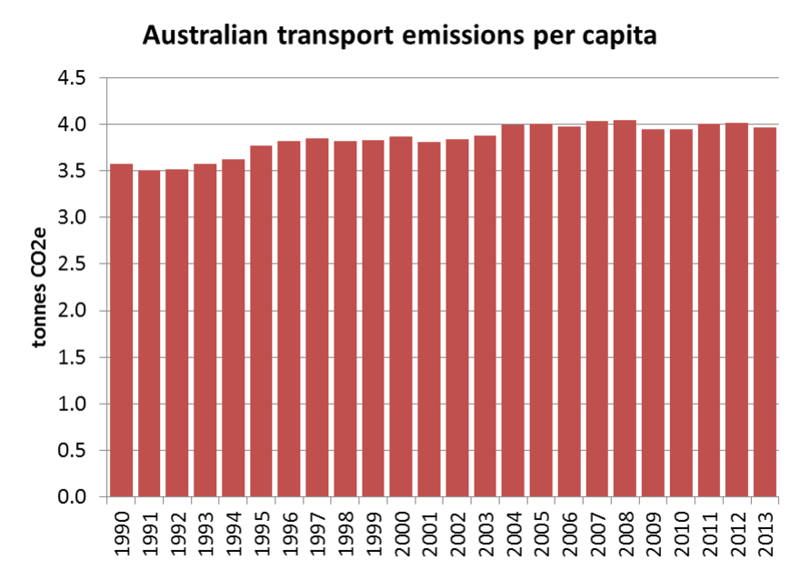 While I like to look at per capita transport usage (everything is relative), it is instructive to look at trends in total volume as well. 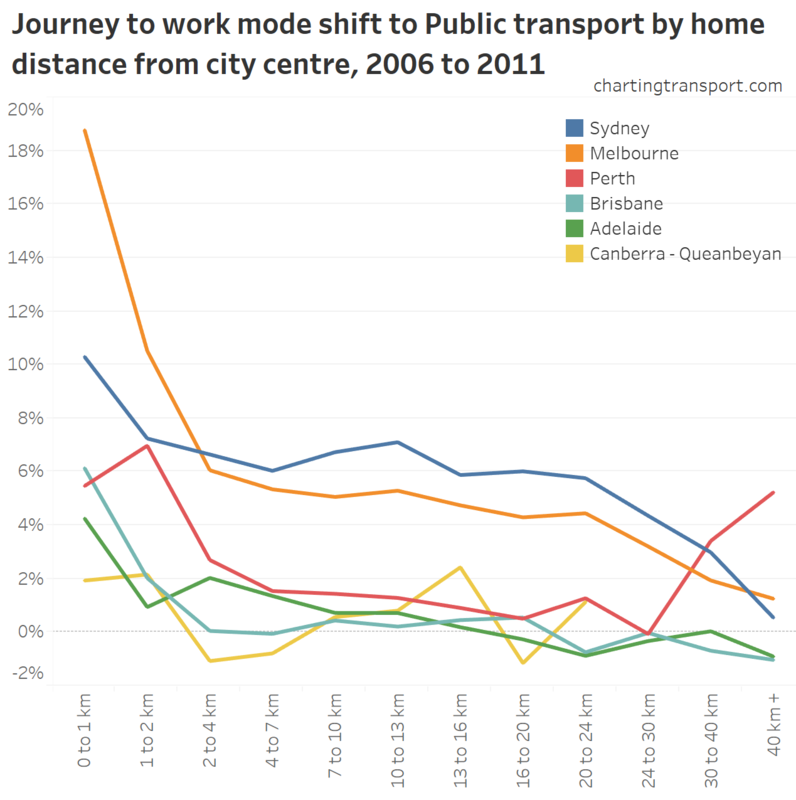 They provide some input into whether increased road capacity might be required, for example. 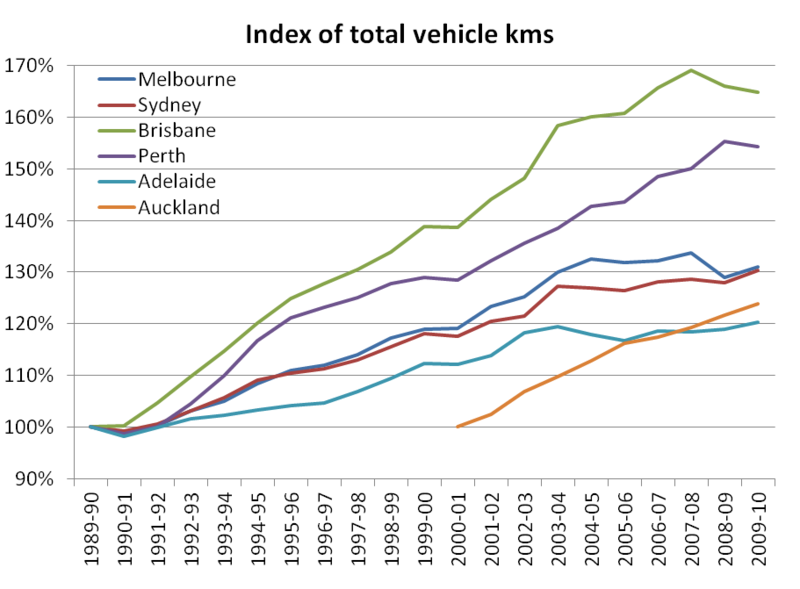 This charts shows that total vehicle kms in Melbourne, Sydney and Adelaide have been relatively flat since around 2004, while Auckland, Perth and Brisbane have shown continued growth. 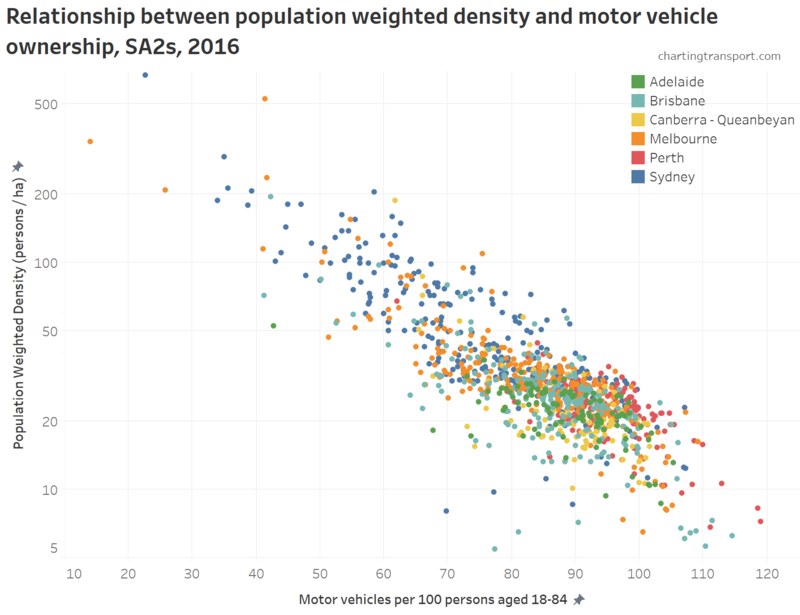 Perth and Brisbane show a downturn only in more recent times, but have had several years of declining vehicle kms per capita, the difference probably explained by stronger population growth. 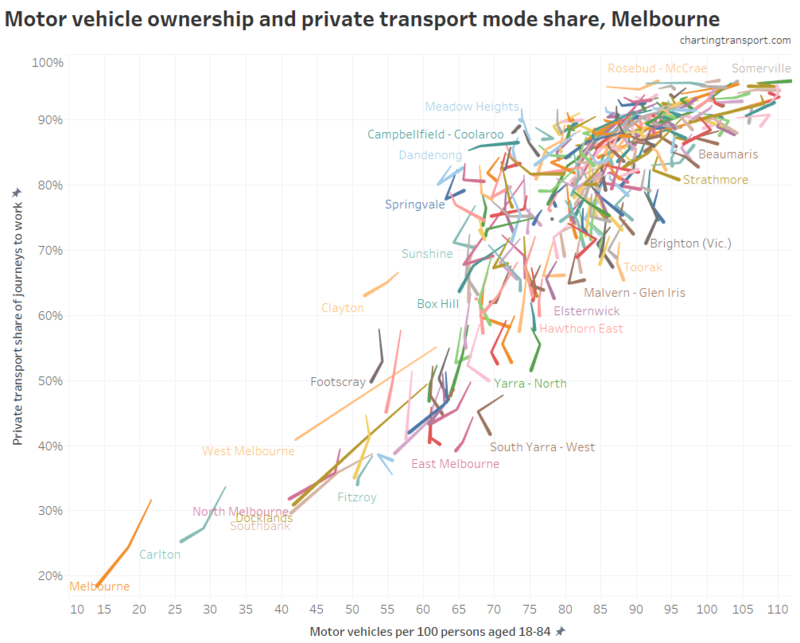 How do BITRE Melbourne figures compare with VicRoads’ data? 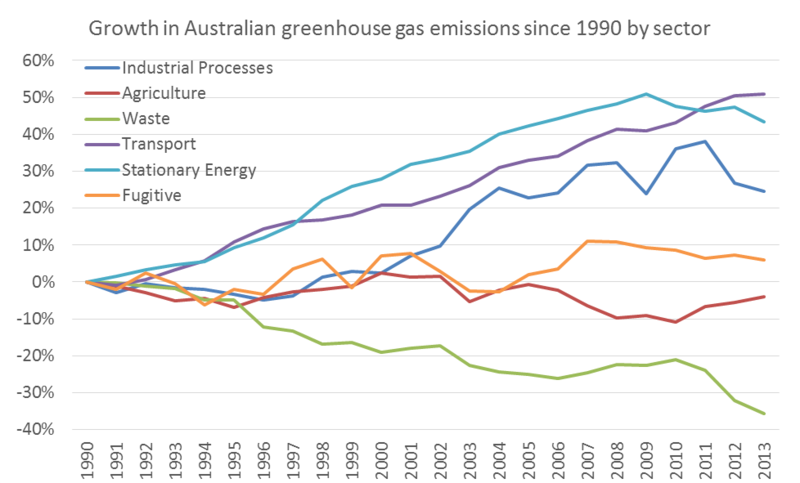 A significant gap opens around 2003-04, but this substantially closes from 2008-09. 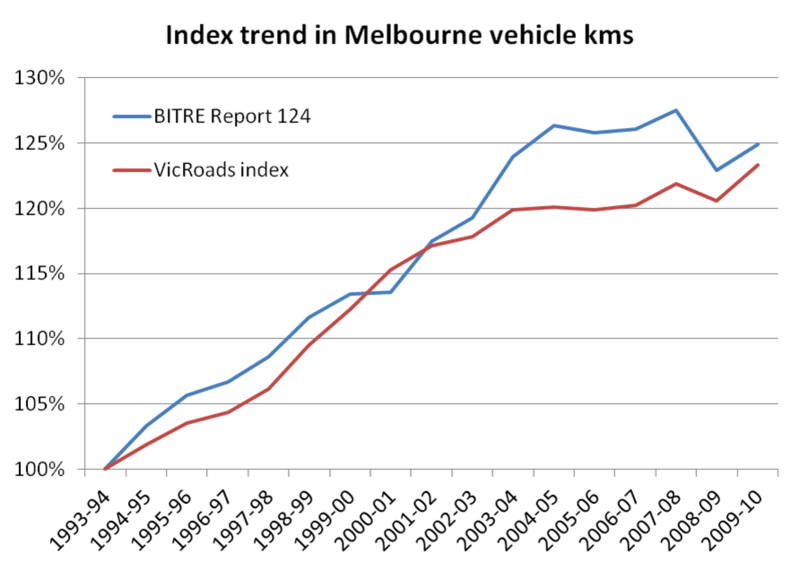 Both datasets show a stabilisation of total traffic volumes, with BITRE data stabilising one year later than for VicRoads. 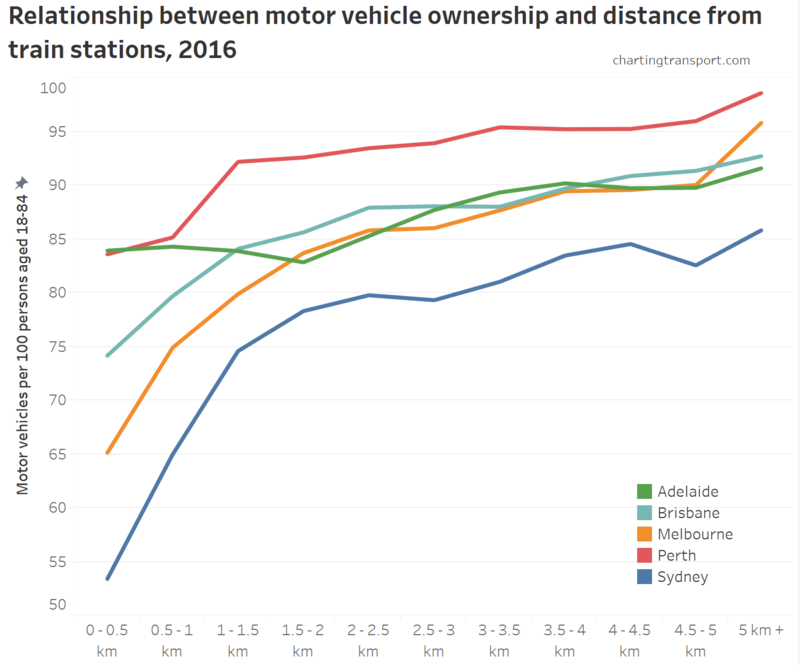 BITRE aimed to estimate total metropolitan traffic, while the VicRoads figures are based on a defined set of monitored roads that might not reflect total traffic, particularly in growth areas on the fringe. 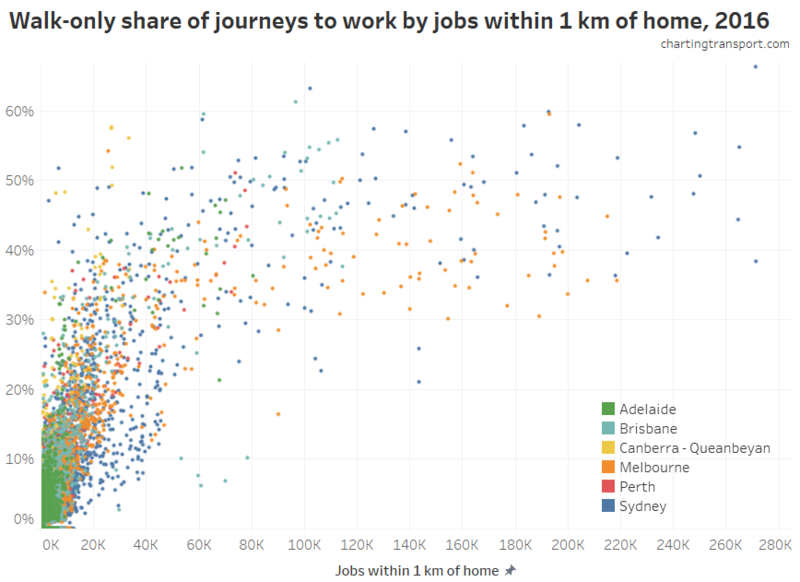 (Note: I did a similar comparison of VicRoads data to BITRE Working Paper 71 estimates of actuals in an earlier post). 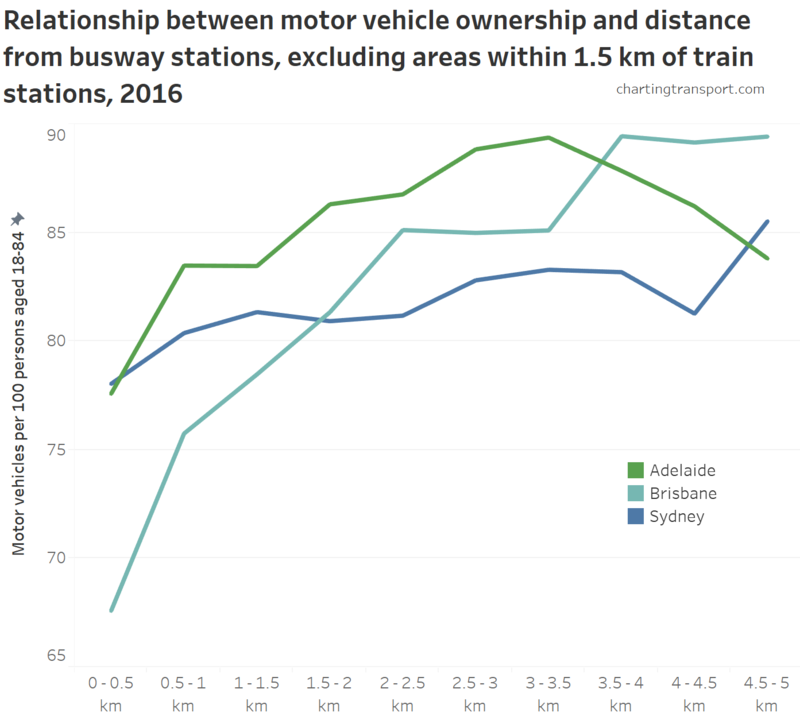 There is strong evidence that “business-as-usual” growth in vehicle kms is just not happening in Australian cities, and thus the 2007 forecast doubling of congestion costs by 2020 is very unlikely to play out. 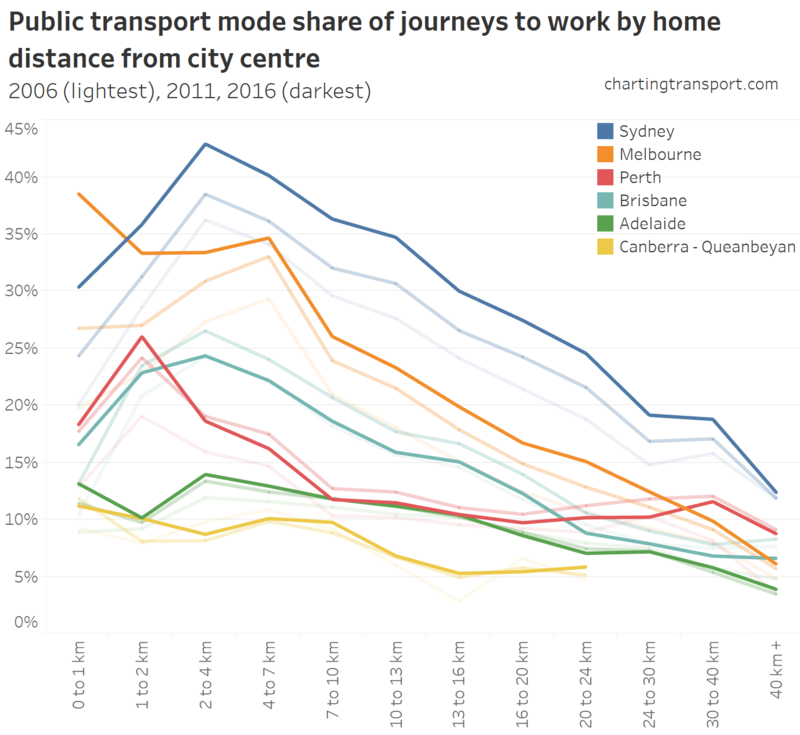 The dampened growth in travel demand is probably saving the economy a few billion in avoidable congestion costs, and has implications on the need for multi-billion dollar expansions of road capacity (though changes in demand will not be uniform across road networks). 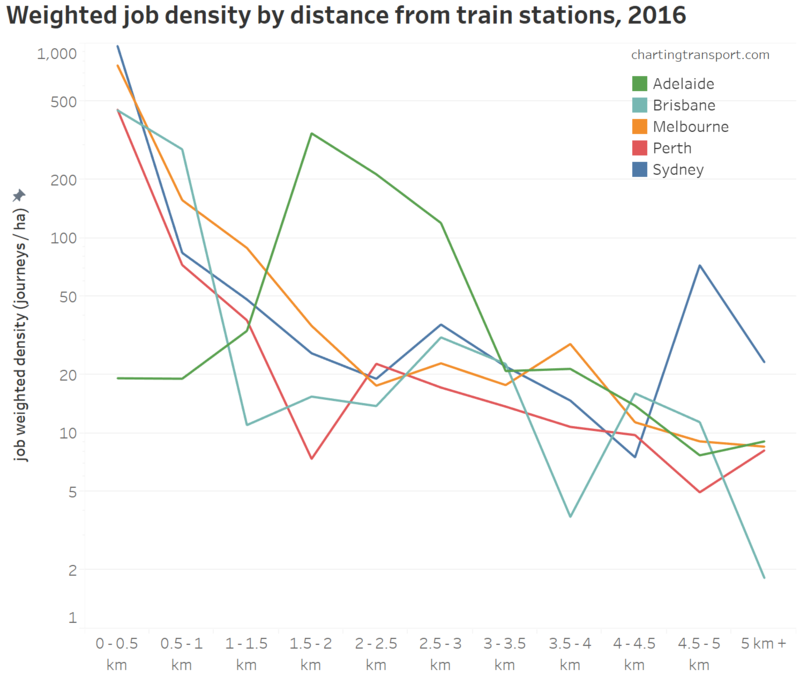 I’d also suggest it is important that planners and policy makers understand why travel demand trends have changed so significantly, and apply this understanding to forecasts of future demand. 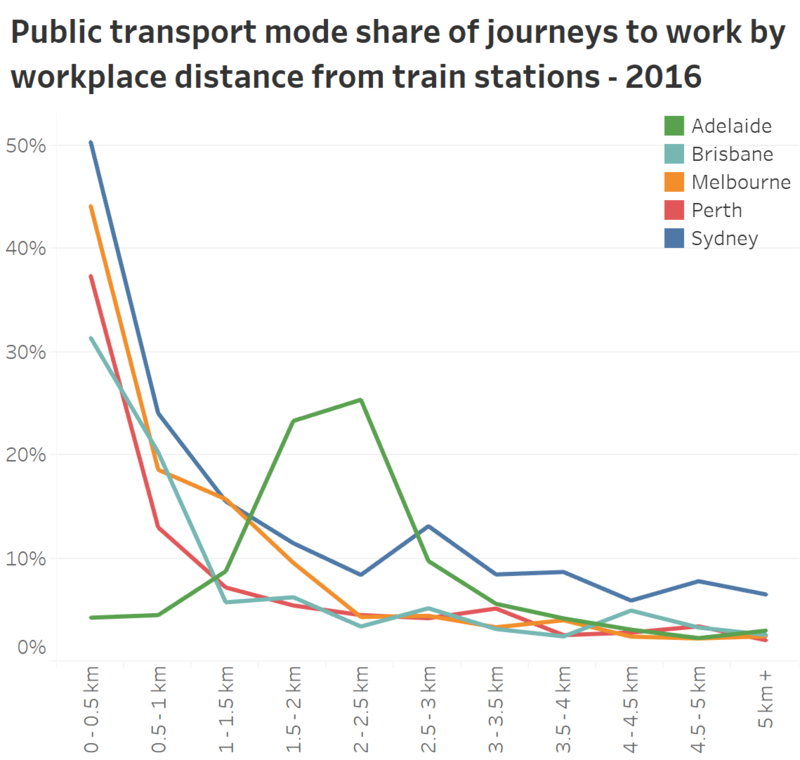 I’d like to acknowledge BITRE for conducting the excellent work that went into Report 124 and making the data publicly available, without which this analysis would not have been possible.